Those purchasing the latest Michelin Guide (out today), will see a new entry for an Isle of Wight Hotel. The Seaview Hotel were informed via Twitter on Tuesday that they’d been awarded the Bib Gourmand – and have been in a “state of elation tempered by exhaustion” ever since. “The Bib (short form Bibendium) was created in 1997 and is awarded to inspectors’ favourite establishments, offering high-quality products and services and good value for the money – at present three courses for £28 – so the award is for our Focus on Fish menu served in the main restaurant. Bruce joined the Seaview Hotel in March 2014. 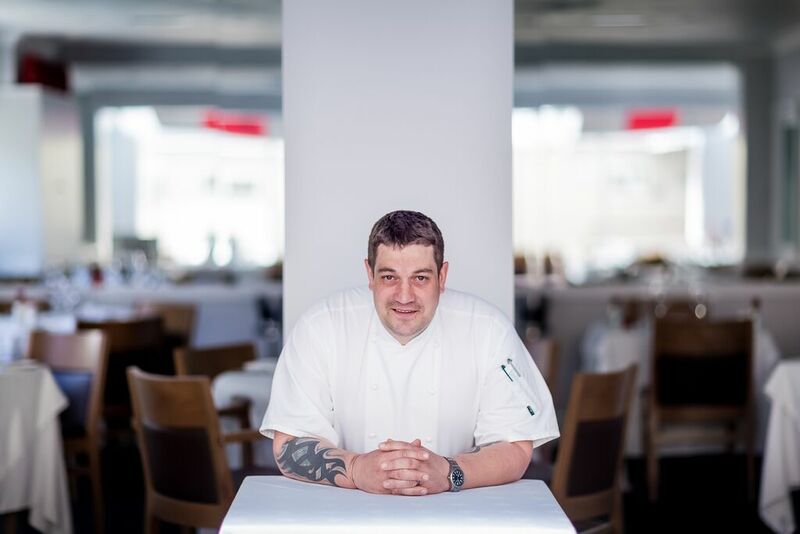 He started his career at tender age of 13 and ended up working in Chez Nico and alongside many talented chefs such as Richard Corrigan, Philip Britten and Billy Reid. Congratulations to all at Seaview Hotel for this great accolade. According to the local councillor Reg Barry, the Seaview Hotel offers the cleanest and safest public toilets in the country.